It’s a dog eat dog world, and bacteria have been living in it for a long time. It’s of no surprise that bacteria have a sophisticated arsenal to compete with each other for valuable resources in the environment. In 2010, work led by University of Washington Department of Microbiology Associate Professor Joseph Mougous uncovered a weaponry system used in this warfare between bacteria. The combatants inject deadly toxins into rival cells. Now, in a surprising twist, Mougous and colleagues have found that many animals have taken a page from the bacterial playbook. They steal these toxins to fight unwanted microbes growing in or on them. The researchers describe their findings in a report to be published online Nov. 24 in the journal Nature. The animal toxins were serendipitously discovered when the Mougous group was working with evolutionary biologist Harmit Malik at Fred Hutchinson Cancer Research Center in Seattle to find more bacterial competition toxins. Their analyses revealed that these genes had jumped from bacteria into animals. These genes had become permanently incorporated into the genomes of these animals through a process known as horizontal gene transfer. While such transfer events are common between microbes, very few genes have been reported to jump from bacteria to more complex organisms. The organisms carrying the bacterial toxins were incredibly diverse and included several species of ticks and mites. The team of scientists immediately recognized the potential medical importance of the toxin in one organism in particular – the deer tick, infamous for its ability to transmit Lyme disease. “We were excited to see this in the deer tick, given the increasing prevalence of Lyme disease in North America. 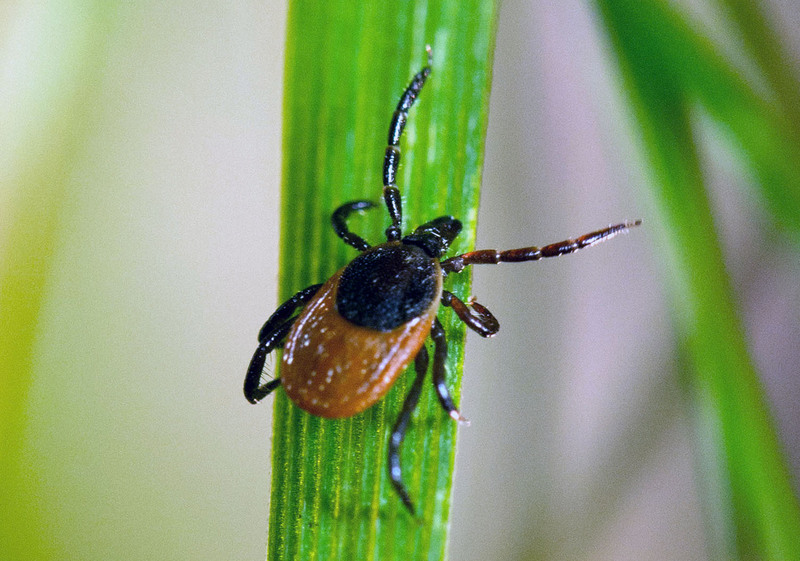 Lyme disease is caused by a bacterium, so we speculated that the transferred antibacterial toxin might affect how the tick interacts with the Lyme disease agent,” said co-author Seemay Chou, a postdoctoral researcher in the Mougous group. Ticks carry pathogens in their guts and transmit them through their saliva when they feed on animals. The toxin was abundant in both of these sites in the tick. The researchers observed that, when they used genetic strategies to reduce production of the toxin in ticks, levels of the Lyme disease pathogen rose significantly. “We are now following up on these results by looking into how these toxins influence Lyme disease transmission,” said Chou. How the toxins function in organisms other than ticks remains to be explored. The researchers now are looking at the possibility that other bacterial toxins have been repurposed by animals for antibacterial defense. “Given the rate by which we are discovering new toxins, it would not surprise me at all if we find more that have been horizontally transferred” noted Mougous. The research was funded by the National Institute of Health (AI080609, AI083640), the Defense Threat Reduction Agency (HDTRA-1-13-014), the Biotechnology and Biological Sciences Research Council (BB/I020012/1), with additional support from Howard Hughes Medical Institute.